Exquisite,highly upgraded Rosegate Estate home features 5 beds (one down),2 home offices(one up,one down),5.5bath,library with built in book case & wine room! 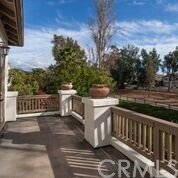 Fully hardscaped entertainer's backyard backing to Hicks Canyon hiking trail with maximum privacy. 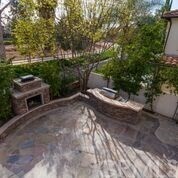 Pebbletech Pool & spa,custom fireplace & built in BBQ! 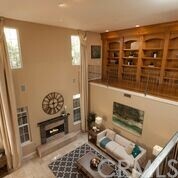 Incredible kitchen features handmade tile counters,upgraded cabinetry & Granite top center island. Designer upgrades include Limestone, Hardwood floorings, custom wood work in both offices, Wrought iron staircase and more! Just amazingly beautiful home! Award winning top schools (Canyon View elementary, Sierra Vista Jr.high, Northwood high) and easy acces s to shopping & freeways. Listing Courtesy of Zujie Yan, Golden Orange Realty Inc.